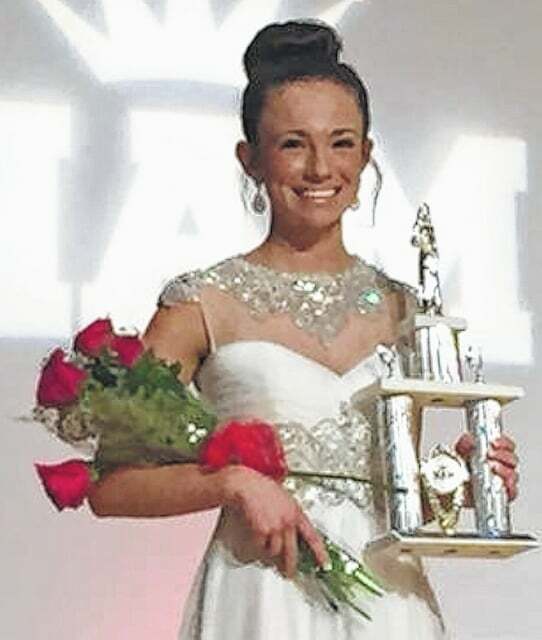 Lucasville teen and Shawnee State University student Catherine McCrory competed at the National American Miss state pageant held at the Hyatt Regency in Columbus, Ohio on June 28th. McCrory competed against over 90 other contestants and was named 4th Runner Up. She competed in personal introduction, interview and formal wear. Additionally, she competed in a spokesmodel competition and placed 3rd overall. The National American Miss Pageants are for “today’s girls” and “tomorrow’s leaders.” Emphasis is placed on the importance of gaining self-confidence and learning new skills. The pageant aims to recognize the accomplishments of each girl while encouraging her to set goals for the future. McCrory worked to raise the funds needed for the pageant and would like to thank her sponsors. McCrory will attend college in the fall as she plans to become a nurse practitioner. She enjoys running and acting while also promoting her platform to help educate children on the importance of living a healthy lifestyle. McCrory has an invitation to compete at the National American Miss pageant in California.